A flood advisory has been issued for Kenner, Metairie, Avondale, and Norther Jefferson Parish until 3pm today. Stay safe and dry out there! The National Weather Service issued the notice early this morning; the advisory includes urban and small stream flood notices for northern Jefferson Parish, including Metairie, Kenner and Avondale, until 3 p.m.
At 12:55 p.m., meteorologists with the Slidell office of the National Weather Service detected a band of showers and thunderstorms over Metairie and upper Jefferson Parish.. Radar estimates indicate that up to 2 inches of rain had fallen over parts of Metairie during the past few hours. "Many secondary streets will likely succumb to nuisance street flooding," said the advisory mesage. 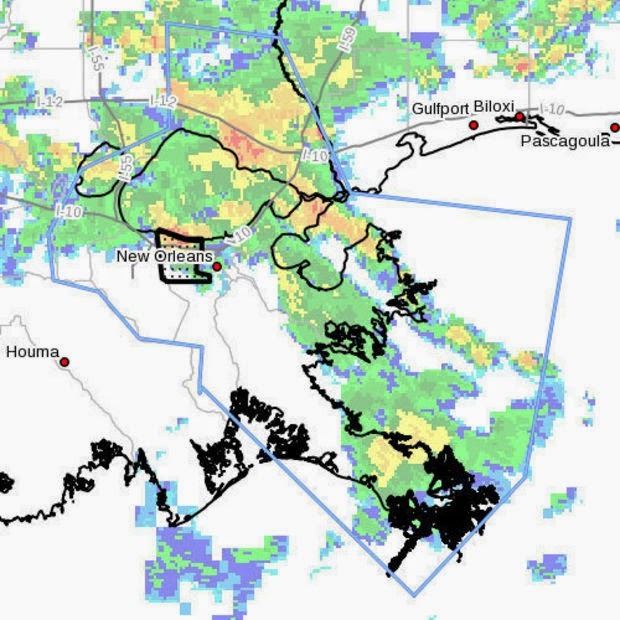 "Additional rainfall will maintain the threat of street flooding through 3 p.m."
That concern is borne out by radio messages reporting street flooding at various locations during the past hour by Kenner police and Jefferson Parish Sheriff's Office deputies. Stay safe and dry out there! And send in your storm pics if you've gotten any; I've seem some remarkable photos and posts already today from some of my followers. I often get inquires from my readers about where to put a hyperlink in a news article, blog post, or class assignment. 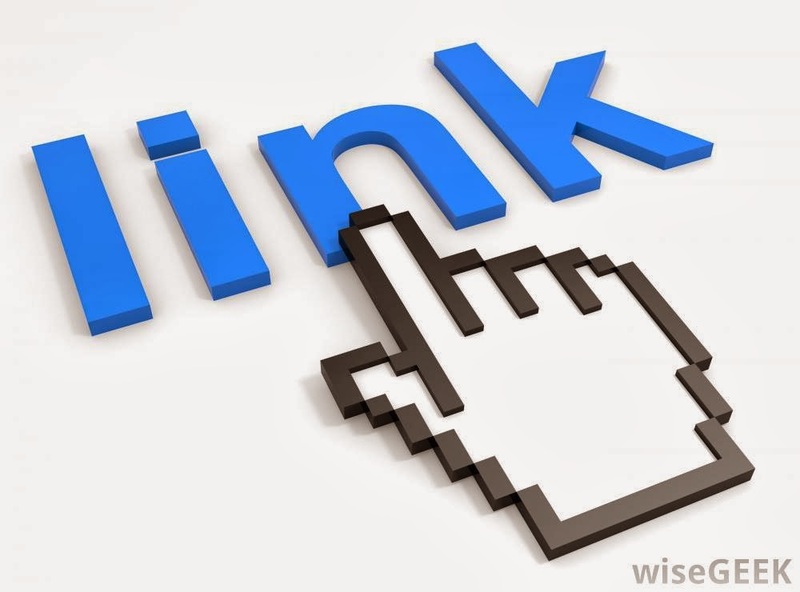 Although it seems like a straightforward process, placing hyperlinks properly is something of an art (and there certainly is no established MLA guide for inserting hyperlinks). And of course, as a former teacher, I've always been focused on encouraging students to follow the guidelines for proper written English. The author in this article seems to understand how to place links properly; notice how the phrase "this article" is hyperlinked because the phrasing refers directly to whatever is being linked! Happily, there are solutions. Just as we teach children how to ride bikes by putting them on a bicycle, we need to teach students how to write grammatically by letting them write. Once students get ideas they care about onto the page, they are ready for instruction—including grammar instruction—that will help communicate those ideas. We know that grammar instruction that works includes teaching students strategies for revising and editing, providing targeted lessons on problems that students immediately apply to their own writing, and having students play with sentences like Legos, combining basic sentences into more complex ones. Since the link was to a study that supports the idea in the passage, the author placed the hyperlink with the words "we know." In other words, the author is encouraging readers to explore what "we know" through those exact words. Schools that have shifted from traditional “stand-alone” grammar to teaching grammar through writing offer concrete proof that such approaches work. They are moving more students more quickly into college-level courses than previously thought possible. One of these is a program at Arizona State in which students who test below college-level in their writing ability immediately begin writing college essays. Again, since the author is referring to a program, why not put the link to information about the program with those exact words! Richie Incognito, who has had anger-management issues during his football career, smashed his own black Ferrari with a baseball bat, according to the Scottsdale Police Department. 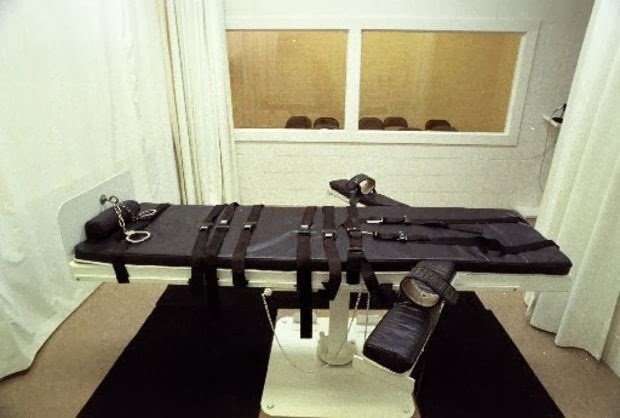 Notice that although the phrase "anger-management issues" doesn't use the words "article" or "blog post" directly, the link itself shows an example of Richie's anger-management issues. So the link works perfectly! And the second one is much more straightforward, since it leads to an article that discusses the Ferrari-smashing incident! So the next time you are wondering where to place a hyperlink, just consider the actual text you are using and what you are directing people to find. And if you have any questions, EMAIL ME! P.S. Did you anyone notice the one linked that I place in hear as a joke? Links can also be used humorously!